As far as shows go, the National Sports Collectors Convention is the biggest in all the hobby. The annual event draws thousands of collectors from all over the United States and even some from different corners of the globe. There are so many dealers that covering the show in one day can be daunting. Running Wednesday, July 29 to Sunday, August 2 in Chicago, the 2015 National Sports Collectors Convention appears to be no different. View full details on the 2016 National Sports Collectors Convention. In addition to the more than 600 dealers on hand, collectors will have a chance to get autographs from players in all major sports. It's also a place to snag exclusive cards not available anywhere else. But ask virtually all who have been to the National before, and they'll tell you the same thing. As cool as the cards and memorabilia are, it's the people that make the trip. This is especially true in today's digital world where you might not have a lot of local collecting buddies but have lots on Twitter, Facebook and online group breaks. The National provides plenty of opportunity to meet up and hang out. Where is it? : Donald E. Stephens Convention Center in Rosemont, IL. Here's a map that shows the convention center as well as its proximity to hotels. There are plenty of options for admission. If you're only planning to go for one day, there's basic admission. Various levels of VIP packages come with other perks like cards and other freebies, autographs from select guests and more. The best value is probably the Super VIP as it not only has more autograph opportunities but parking passes as well, which can add up. All-Access VIP and Super VIP packages let holders go to the front of the autograph lines, which can get long for some signers. Kids under 12 get free general admission throughout the 2015 National. Complete details on admission prices and packages, as well as pre-orders, can be found on the National's website. 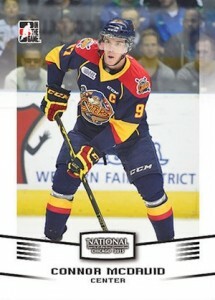 National-exclusive cards normally come in two forms. Small sets are included with VIP packages. Manufacturers usually have some sort of wrapper redemption or incentive for buying packs and boxes at the show. These come with separate exclusives. Click on the link next to the company names below to shop for NSCC cards on eBay. Similar to the other manufacturers, Leaf has several options available to collectors at the 2015 NSCC. 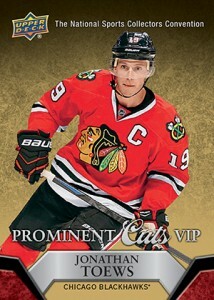 VIP ticket holders will receive an exclusive group of rookie players from the world of baseball, football and hockey. There are also Silver (PR=500), Pink (PR=200), Gold (#/100) and Blue (#/25) parallels. Additionally, collectors who open current boxes of Leaf products at their booth (#858) will receive special packs. 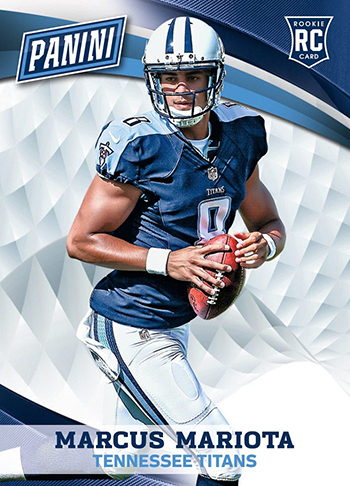 For each box of 2015 Leaf Legends of Sport, 2015 Leaf Clear Football, 2015 Leaf Pop Century, 20115 Leaf In The Game Used, or 2015 Leaf Masterworks: Sports Edition, collectors will receive one pack that includes cards with the 1990 Leaf Baseball design. Autographs fall 1:7 packs. 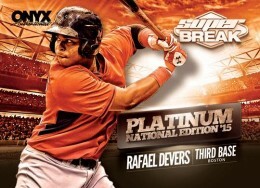 Finally, collectors who break a case of any of the products noted above will receive a bonus autograph pack. Each pack is guaranteed to contain a signed card that is numbered to ten or less. 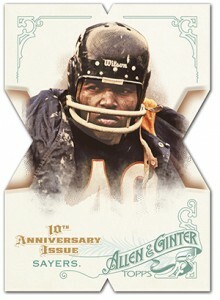 As with past years, Panini has created a comprehensive release for their wrapper redemption set. Besides a base set, there are several inserts, memorabilia cards and more. View full details on the set here. Topps has a couple of different redemption programs going. Those opening a box of 2015 Topps Allen & Ginter Baseball at the Topps booth get a special pack of of Allen & Ginter die-cut cards. Autographs are randomly inserted. Full details here. Several other boxes are eligible for a three-card pack of 2015 Gypsy Queen cards of Kris Bryant, Byron Buxton and Carlos Correa. 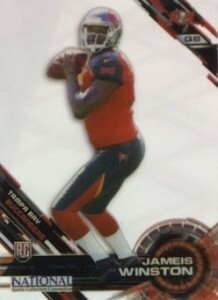 Each has parallels as well, including Silver (#/100), Gold (#/25), Red (#/5) and Black (1/1). 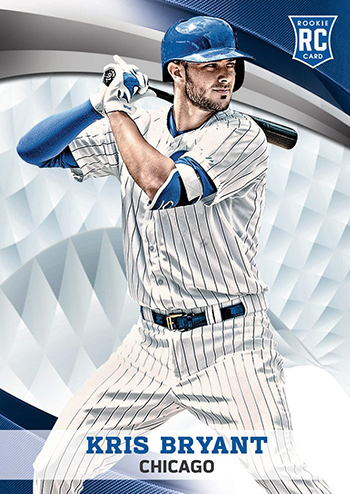 A full list of eligible products for the Gypsy Queen cards can be seen on the Topps website. Those with VIP passes get four of the cards, which means they'll have to track down and deal to complete the set. 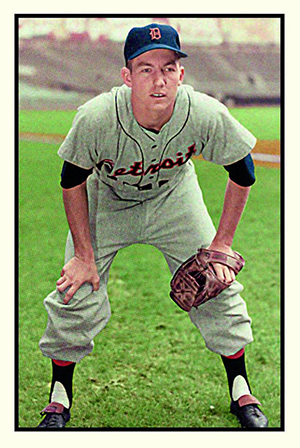 The cards are based on the 1953 Bowman Color design. 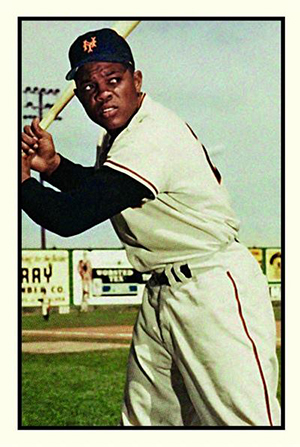 Topps also has special 5x7 versions of their High Tek line with limited print runs. 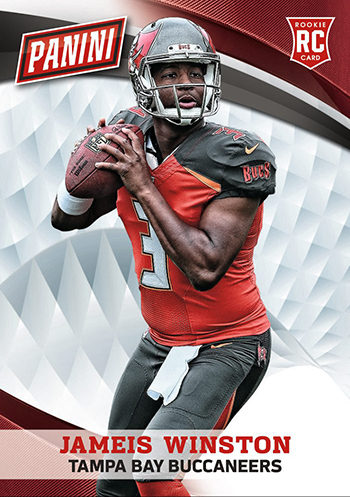 The cards feature a NSCC logo and include both baseball and football subjects. 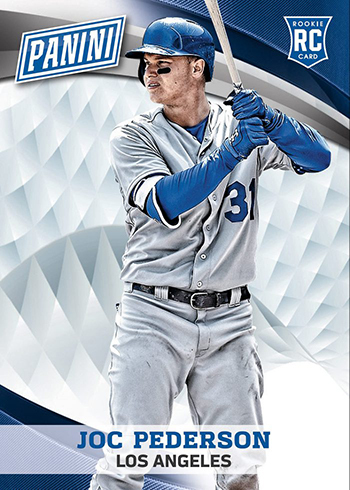 Upper Deck has three separate programs happening at the 2015 National, all of which revolve around the return of the Prominent Cuts brand. Those with VIP tickets get a five-card set featuring Jerome Bettis, Wayne Gretzky, Michael Jordan, Jonathan Toews and Tiger Woods. 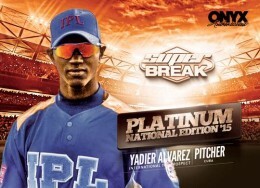 Those who make a qualifying pack purchase from a certified Diamond Dealer at the show get a pack with different Prominent Cuts cards. This set covers several sports and dips into entertainment as well. Unlike previous years where certain players were available on specific days, this year everything is distributed at random. Wrapper redemption packs have a limited number of autographs. 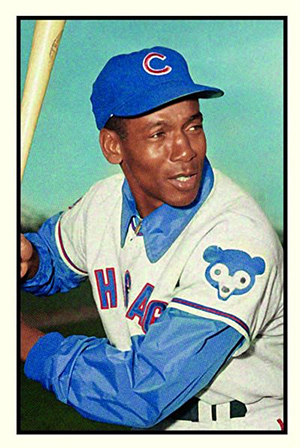 Also randomly inserted are six one-of-one cut signature cards featuring autographs of deceased players from the Chicago area. Upper Deck has some additional bonuses available to those busting a qualifying case at the show. In addition to ten of the wrapper redemption packs, these come with a raffle ticket good for a piece of memorabilia, special VIP autograph, box of cards and more. These items are available immediately at the show. 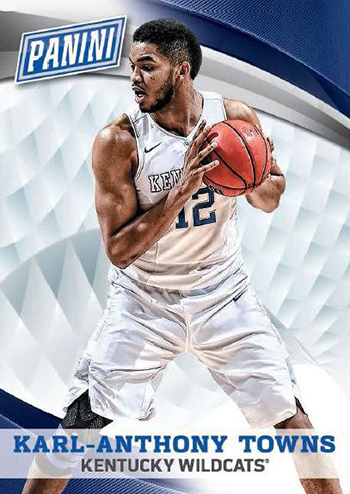 Complete details for Upper Deck's promotions at the 2015 National Sports Collectors Convention as well as other plans they have scheduled can be seen on their blog. 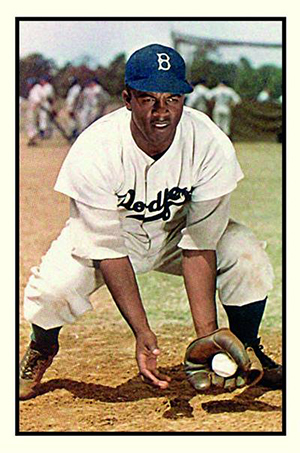 Beckett Media has a set of 15 past covers, many with a Chicago theme, redone as cards. These will be available at select booths throughout the convention floor. Every day, the first 50 people to collect the full set can head over to the Beckett booth and receive one of ten autograph cards. These use different covers from the main set. Stay tuned for more additions as they're announced. TriStar is once again heading up the autograph pavilion at the 2015 National. Select signers are included with VIP packages, however, they majority cost extra. Below is a list of signers planned for the event. For full details, schedules, prices and pre-sales, check out TriStar's website. 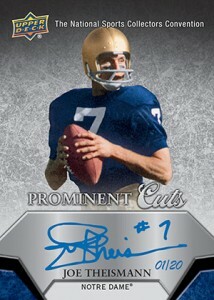 The National Vintage Break is like a case break but with high-end cards and memorabilia. 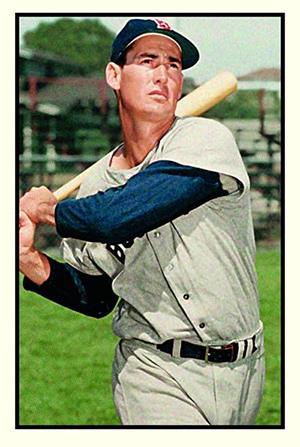 Presented by Heritage Auctions and RippingWax.com, there are 15 total slots available. Each costs $2,500. When the break begins, slots will be randomed off and then a live draft of the items will take place. Panini's VIP Party returns for another year at the 2015 National Sports Collectors Convention. Happening Saturday, August 1, it's by invitation only. Past VIP parties have been highlighted by appearances from several big-name athletes. To get on the list, collectors need to spend $7,500 in select unopened product from one of five dealers at the National. Besides getting into the party, you also get autographed photos from all of the celebrity guests, 500 Panini National Silver packs, and exclusive Gold VIP packs. Members of the Topps staff will be on hand for an informal question-and-answer session on Saturday morning. Slated to run for two hours, those in attendance will have a chance to see what's happening with the company and speak directly with key decision-makers about the company's direction and any concerns they might have. Space is limited to 150 people. A sign-up is available at the Topps booth. I have never been to this event, but I will be in Chicago during the event. However, I will only be able to attend the sneak preview on Wednesday. Will all the booths, dealers etc. be available on Wednesday? 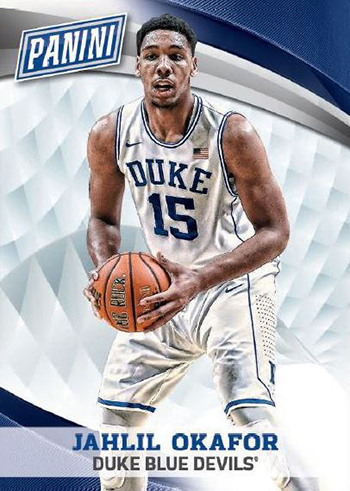 For instance, will the Beckett cover cards be available? Greg � You’d have to check with the National’s organizers for exact details for which booths are open and which aren’t. I think the cover cards are Thursday to Sunday. I’ve also never been but will be up there for other reasons as its going on and plan to go for a day. Do you bring your own cards to trade/sell or is it only buying from official dealers? 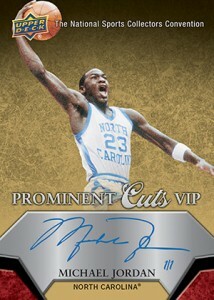 What can an average joe card collector do at the Panini, Topps and UD booths without a VIP pass? Branden K � Different manufacturers have different rules for their programs. For wrapper redemptions, it’s best to plan to just buy stuff at the show. 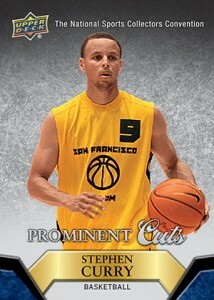 Panini, UD and Topps should all have cards for non-MVPs. Most will be wrapper redemptions, though there are plenty of giveaways normally as well and other activities. I attended several years ago in Chicago with a group of friends. Absolutely the best time ever. Take a camera!! so many cool things on the side! The stuff they don’t advertise is often more fun and less attended than the main events. I spend about 15 minutes chatting with Jerry from Survivor and had no idea they were there. The gals from adult type cards makers are also great with photo ops when approached nicely! I wish the National Card Convention would come to Orlando, Florida. There’s so much to do there along with the convention, like Disney, Universal, Marvel, Islands of Adventure, Sea World, Aquatic, Wet & Wild, Malls, Orlando Magic. Nice Weather. I just think it would be a great spot & probably more fun than the same two (Cleveland, & Chicago). 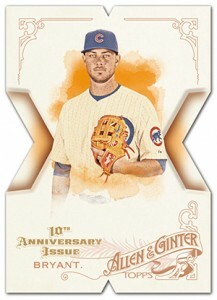 Is there a checklist for the ginter die cuts? Love them. Patrick � Not yet. I do know there are 100 cards in the set.